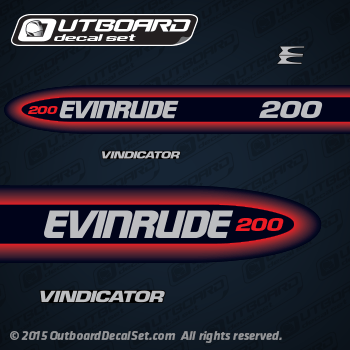 Evinrude 200 horsepower Outboard Decal set replica for Vindicator Evinrude 98/99 motors. One wrap around decal and one E Logo (Evinrude) on Front. 1998-1999 Evinrude 200 hp outboard covers.